Addon adds the ability to generate a flat world in Minecraft PE 0.12.1, but not using standard blocks. You can choose the desired blocks, which is very useful when you want to create a map of the passage, etc. Install the addon, be sure to enable the addons in the settings of launcher. 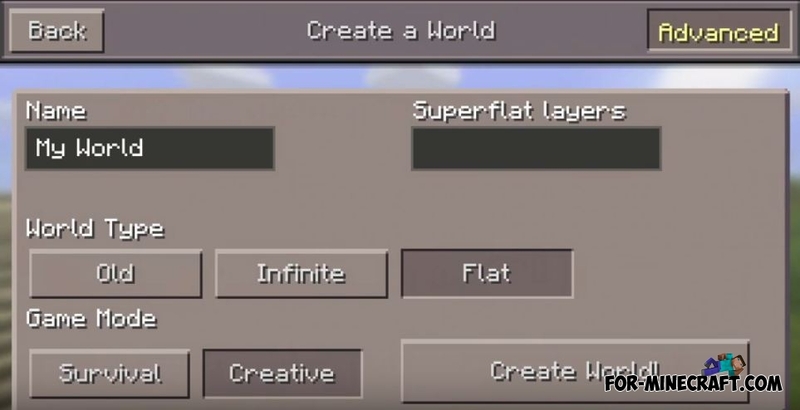 Layers Mod for Minecraft PE 0.10.5This addon adds GUI MCPE new features - namely, the ability to generate flat world other blocks and play survival.